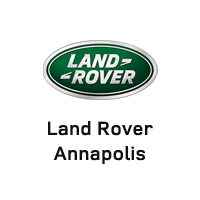 The kind of luxurious adventurers that Land Rover is famous for may seem like a poor fit for the urban grid of Washington DC, but the Land Rover Range Rover Sport proves otherwise and provides ample performance even when bought used. This swift and agile SUV is a driver’s car first, giving you all the capability and tools you need to nimbly navigate the streets in style. And it’s looks and luxury fittings are designed to stand the test of time, looking great in any era. Why Buy a Used Land Rover Range Rover Sport? For a plush and versatile SUV capable of tackling trails and tollways alike without breaking the bank, you won’t find much better than a used Land Rover Range Rover Sport. While competitors like the Audi Q5 may promise superior performance, when compared to the Land Rover Range Rover Sport they almost always fall short. It offers an incredible feature set too, packing incredible technology into its plush cabin. And unlike other, more inconsistent lines, the Range Rover Sport has a long history of offering superlative vehicles, so you’re not risking a bad buy with a used model. Come out and see for yourself!